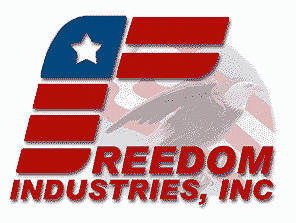 The company (incredibly named "Freedom Industries") responsible for the massive chemical spill in West Virginia that left hundreds of thousands of people without drinking water declared bankruptcy yesterday. This means that all of the people who had to suffer through days without water, and some who became seriously ill from drinking contaminated water, will likely not be compensated by this company for the damage it caused them. Many people have referred to this spill as a failure of government regulation and blamed free-market fundamentalism. All of these folks should get checks from the various industry groups for major polluters. Last I looked, believers in the free market supported property rights. Property rights mean not having someone else throw their waste on your property. If this is a difficult concept to understand, try erecting a slaughterhouse where the waste gets dumped on Bill Gates' front lawn. It's a safe bet that you will quickly be given a court order to stop immediately. If you ignore it, you will quickly find yourself in jail. Are Bill Gates and other rich people who will have those who pollute their property thrown in jail believers in big government? For some reason this view that they have a right to not have people pollute their property and have the government enforce it gets put down as being part of free market fundamentalism. But when a West Virginia coal processing plant throws its waste into people's drinking water this is a question of government regulation? It is easy to see how it is an advantage to rich people and to those who would like to be able to pollute with others bearing the cost to have these issues seen as fundamentally different in nature. But it is hard to see any logic that would justify this difference. And it is hard to see why anyone who doesn't want corporations to be able to pollute with impunity would accept this distinction. People who don't want polluters to be able to operate with impunity are no more nor less market fundamentalists than Bill Gates when he has people arrested for dumping waste on his lawn. The only difference is whose rights are being respected.